It is your spiritual right to know your Guardian Angel and the angels that are dedicated to the healing of the world. Right now, standing by you is this loving presence that is willing to guide, support and lead you towards your greatness. Your Angels are as loud as your willingness to listen. Through the support of Kyle Gray and the rest of the Angel Tribe you will be encouraged to develop your natural intuitive abilities so that you are able to unlock the voice and connection with your angels. You’ll be granted access to authentic and insightful content that will lead towards an enriching spiritual practice that will last you a lifetime. Over the next twelve months you can enjoy all of this content in your own time and at your own pace! Every month Kyle will help you build your knowledge of the Archangels and how they can support you, your loved-ones or even your clients. You'll also have a downloadable monthly profile of each Archangel so that you can work through understanding them, their gifts and record your own thoughts, feelings and messages you receive. Every month you'll be guided through an exclusive attunement meditation video to develop a direct and meaningful connection with the Archangels. You'll also be sent the attunement in MP3 format so you can listen on the go!! This is the highlight of every month because you’ll have a live coaching video-call with the rest of the Angel Tribe! Each month you’ll get to submit your questions ahead of the scheduled video-call so that you can have the opportunity to have answers directly from Kyle and the angels. Each call is recorded and available on the site for replay if you can't make the date. As a member of the Angel Tribe you’ll also gain access to the members only private Facebook group where you can share your experiences, practice your angel card readings with fellow tribe members and create new like-minded friends. 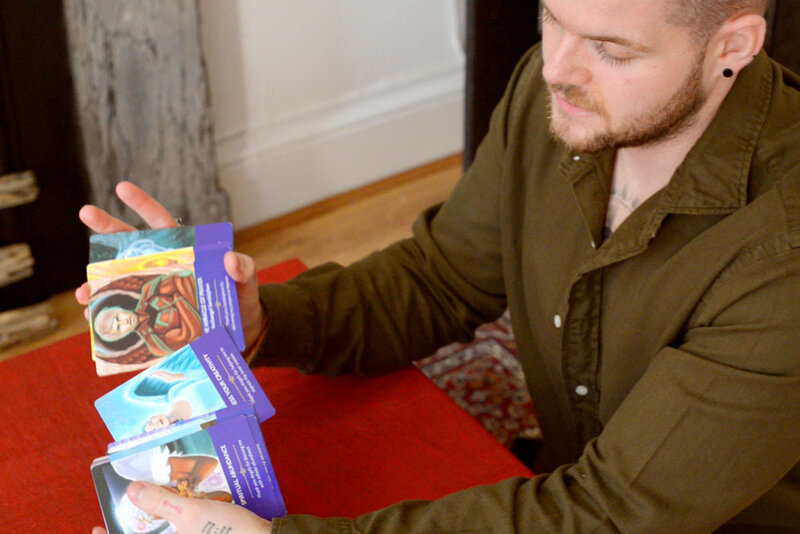 For the last 15 years Kyle has used Angel Cards as a spiritual tool for both personal and professional development. Initially working with cards was a hobby that led him onto becoming one of the most sought after experts in his field. 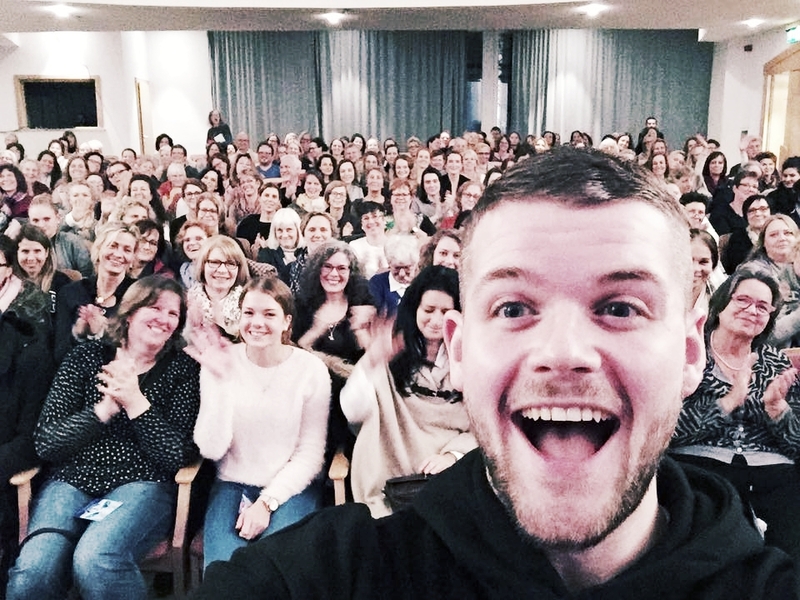 Kyle has seen over 10,000 personal clients for angel readings and had a 3 year wait list for a private session. Let him guide you to awakening a new potential! Angel cards are an incredible spiritual tool that can help you forge a bridge between heaven and earth. Your angels are standing by at all times with love, support and guidance and through the cards you will unlock a connection that will support you the rest of your life. Through learning to use angel cards and read for others you will be able to unlock and hone your intuitive skills in ways you may not have thought possible. Even if you are more guided to do this for yourself sharing readings with others is an amazing way to increase confidence and develop trust in your own voice. No matter where you are or who you're with, your angel cards provide a direct link between you and heaven. 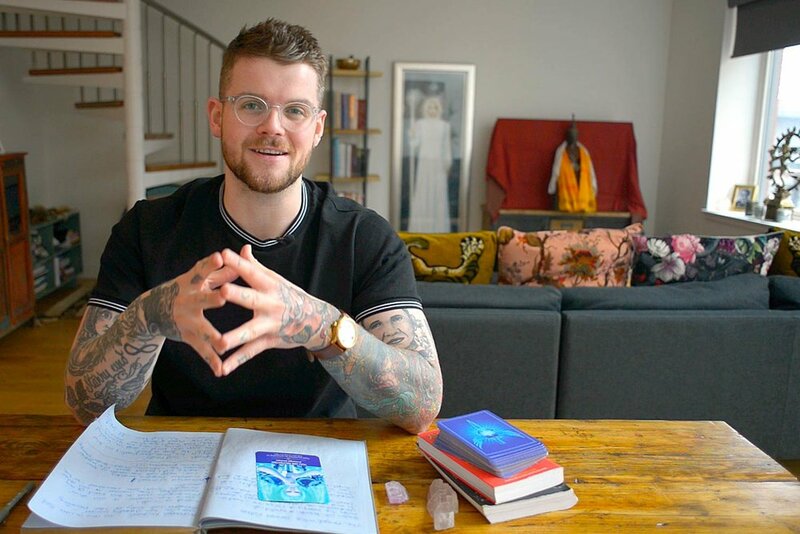 Through the exercises of the Angel Card Mastery Program you'll learn tips directly from Kyle so that you'll be able to read like you've been working with the cards for decades. 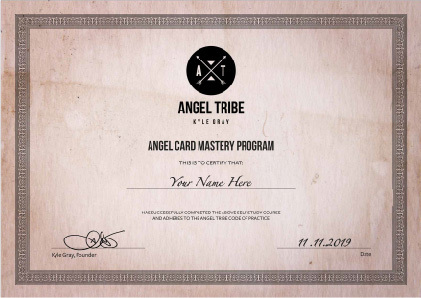 After your 12-month program of personal and spiritual development with Angel Tribe and taking your time to build confidence with using the cards you will be able to apply for Angel Card Mastery Certification. 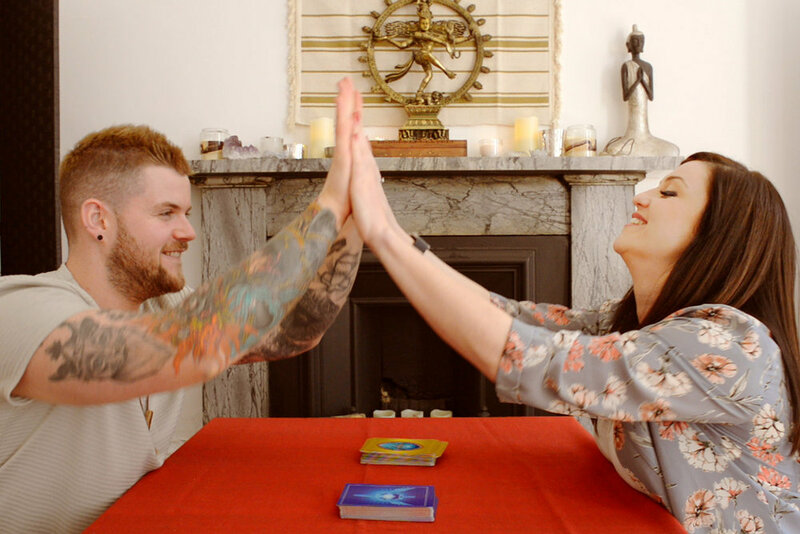 This certificate requires you to complete all of the video training sessions, angel tribe live calls and agree to the Angel Tribe Code of Practice of rules and regulations which we believe supports creating highly accurate and respectful angel card reading practitioners. Please note: Saturday June 24th , 2018 is the last date you can cancel your yearly membership. Because of the nature of the content we will not be offering refunds after that date. Angel Tribe and the Know Your Angels course is a journey. We ask that you commit to the course and allow the process to unfold! Don't miss a thing! get reminders about what's new in Angel Tribe, straight to your inbox every month.